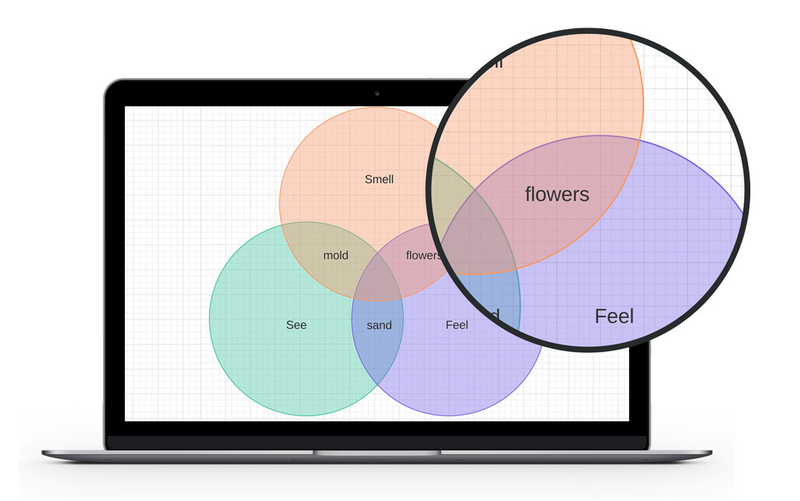 Venn Diagram Maker is a good web tool from Lucidchart that allows you to easily create and share Venn diagrams. The process is very simple and no software download is required. Using an intuitive interface with drag and drop editor, you can easily get started creating your diagrams right away. For instance, ‘line drawing is as easy as dragging from the edge of an object. 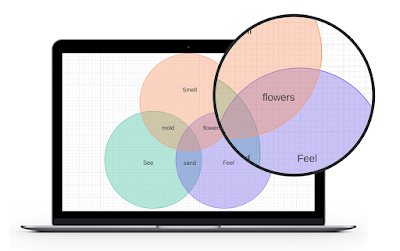 Let go and a new shape instantly pops up.’ You can customize your diagrams the way you want: adjust the size of the circle, add colour and context and many more. Check this resource to learn more about Venn Diagram.